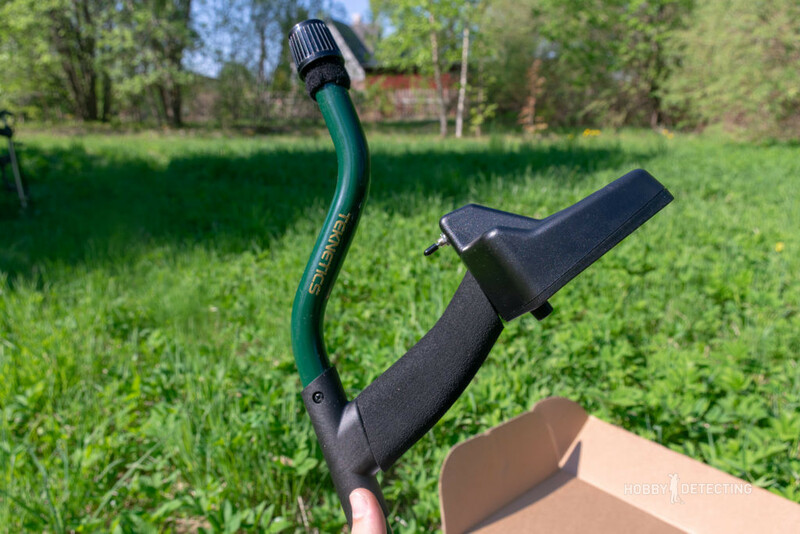 Teknetics T2 +. Last year the manufacturer Teknetics released this novelty, but what is new in it? 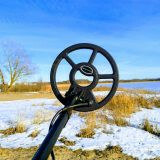 The variations of the famous and legendary metal detector are many and how are they all different? If to say it easier, then the differences are in the firmware. Fortunately, multiple metal detectors can be updated through a computer, but this is not the case for all detectors. 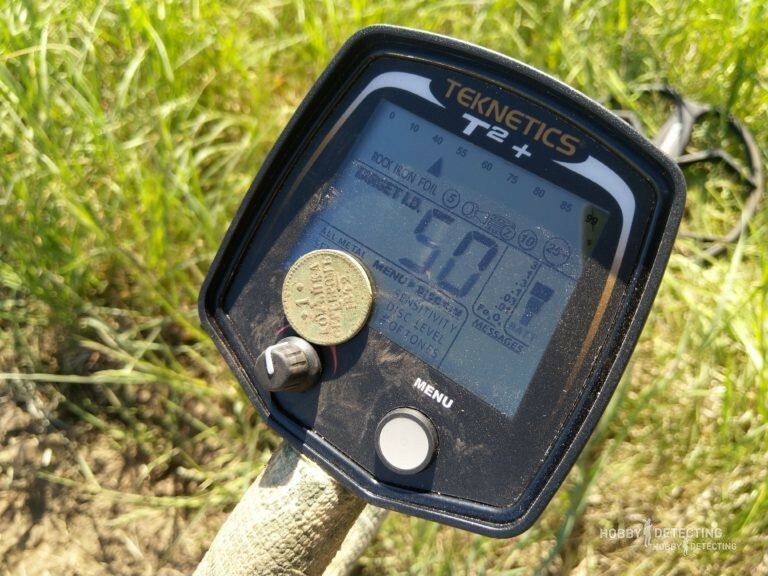 So, what’s new in the Teknetics T2 plus and how does it differ from the rest? Where to order Teknetics T2+ in the USA? Promo-code for TekneticsDirect! Also, you can order other items and metal detectors. Here you can find the T2+ bundle pinpointer included! 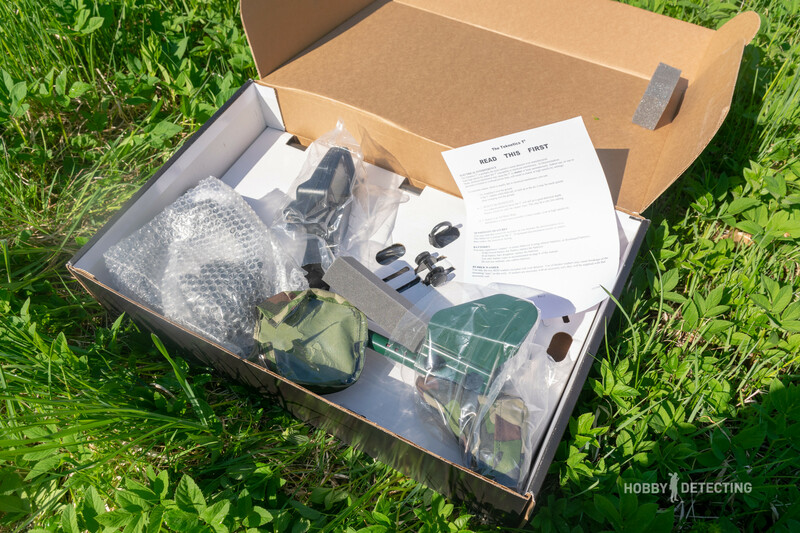 The first and most noticeable difference between the Teknetics T2 + from other models is its kit. This model comes with a very good bundle, among other things, allowing you to significantly save on other equipment. 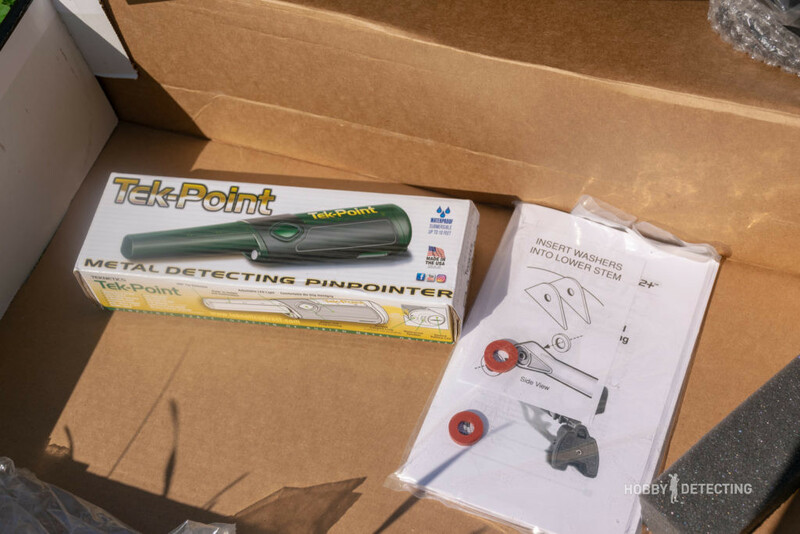 And most importantly – the new pinpointer Teknetics Tek-Point! 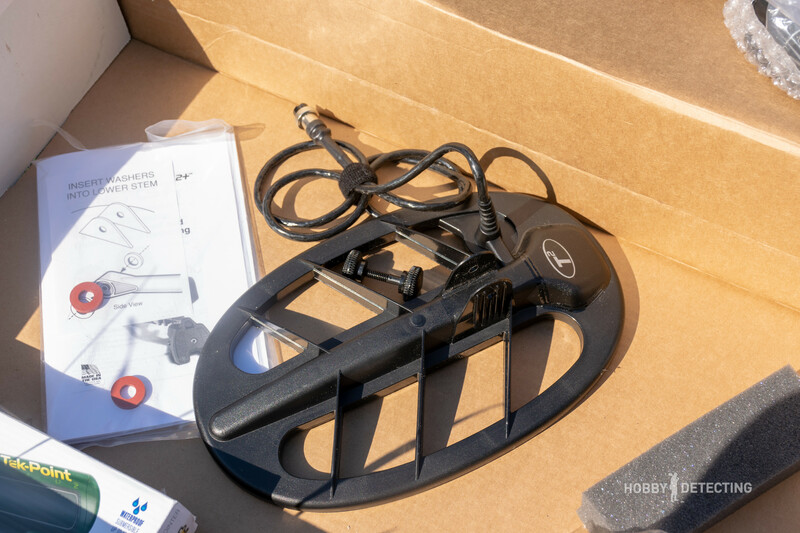 Sometimes they write/say that Teknetics metal detectors go without additional washers for the rod and ears of the coil, in the photo above it is clear that this is not true. The cover is something I have acquired myself. On the armrest, you have the logo of the new model – T2+. Here, under the armrest, there is also a battery compartment, and the detector operates on 4 AA batteries. I use rechargeable batteries – it’s more profitable and better. Similarly, on the front panel of the metal detector, the inscription “Teknetics T2 +” can be seen. 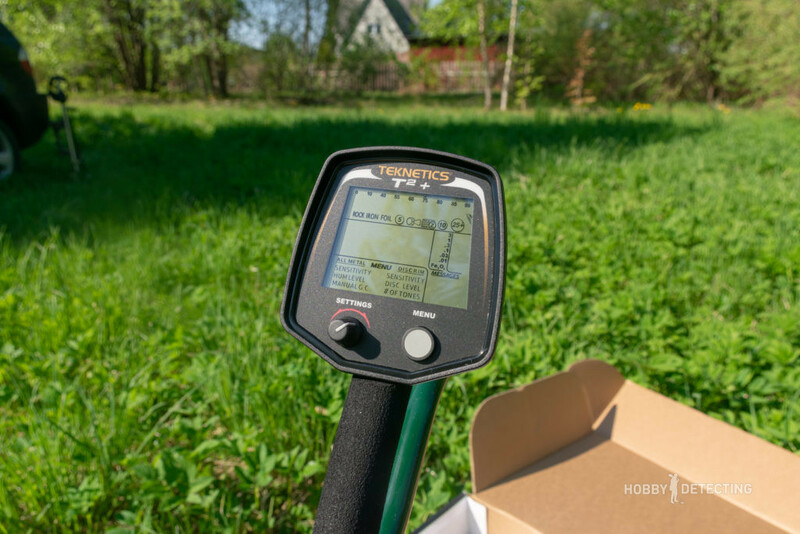 As you can see, the control box of the metal detector is very simple – just one potentiometer and a button! 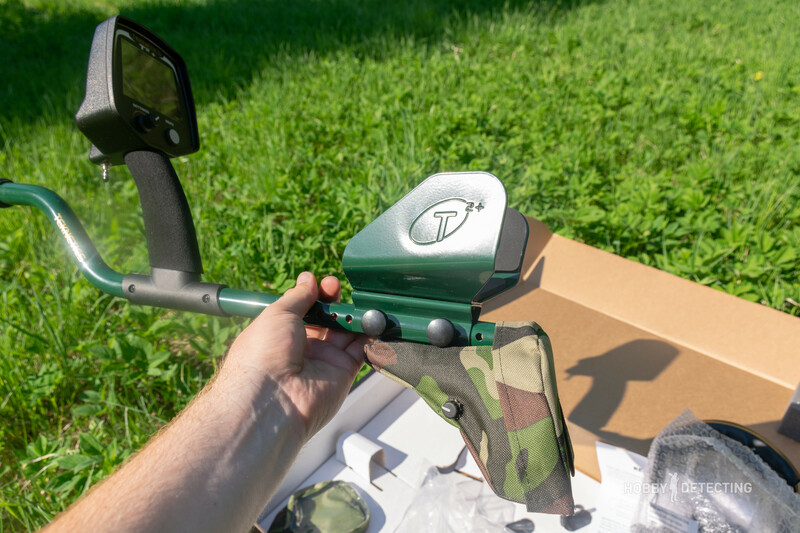 And, like all the other models of Teknetics T2 – the trigger is in its place. A very convenient thing, it’s already a little difficult for me to work with metal detectors, where there’s no such trigger. Very simple, practical and convenient! At a good price, this is an excellent kit. 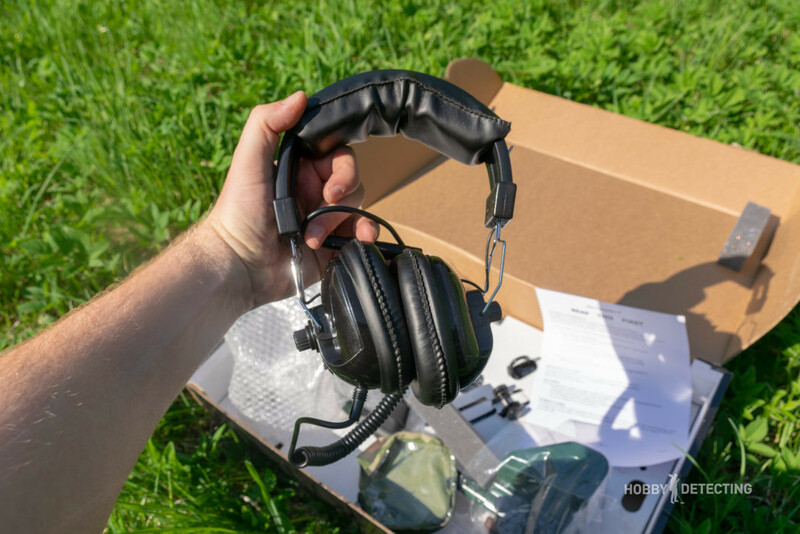 The new pin-pointer is usually at $120, and the kit itself is much cheaper to buy than to take the Teknetics T2 and the pin-pointer + headphones separately. 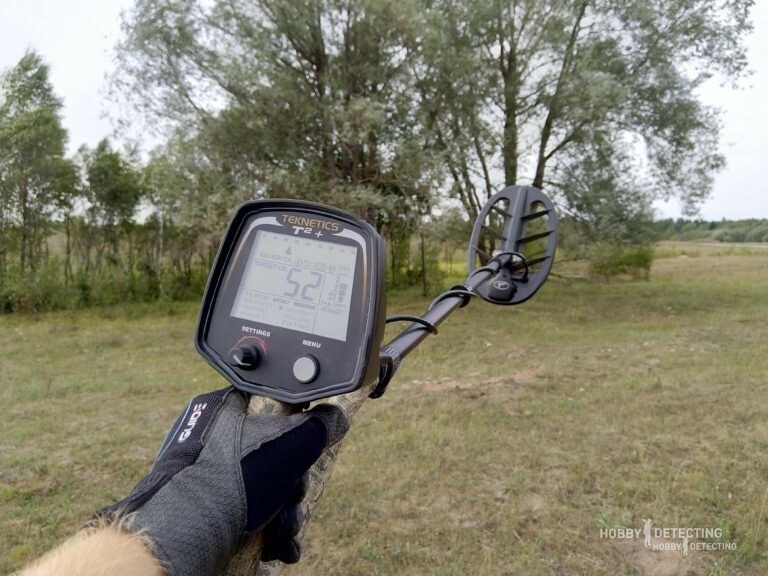 Perhaps, this is the most simple professional metal detector and easy to set up. Yes, it does not remember the settings, but I only need a couple of seconds to set them. This is very easy and fast. You have the choice of the two main modes – all metal or discrimination. That’s all. You do not need anything else. Put the sensitivity to the desired level, do a ground balance of the ground and go dig. There are no secrets and tricks here – we hear a signal, and we immediately dig it. For example, I often use the all metal mode. It is sensitive to small targets but simultaneously reacts to hot stones. Hot stones are easy to recognize, they have a high VDI, but the sound from the target is muffled and weak, not real. It does not mix with a coin signal. Also, in the “all metals” mode, you must set the threshold tone level, the main thing is not to overdo it and not to set it too high or too low. I usually search at 0/+1 levels. In discrimination mode, the threshold tone is not available, but tonality settings are available. A distinctive feature of the T2 + model is that now there is a “BOOST MODE” in the tone settings. This is a very interesting mode. 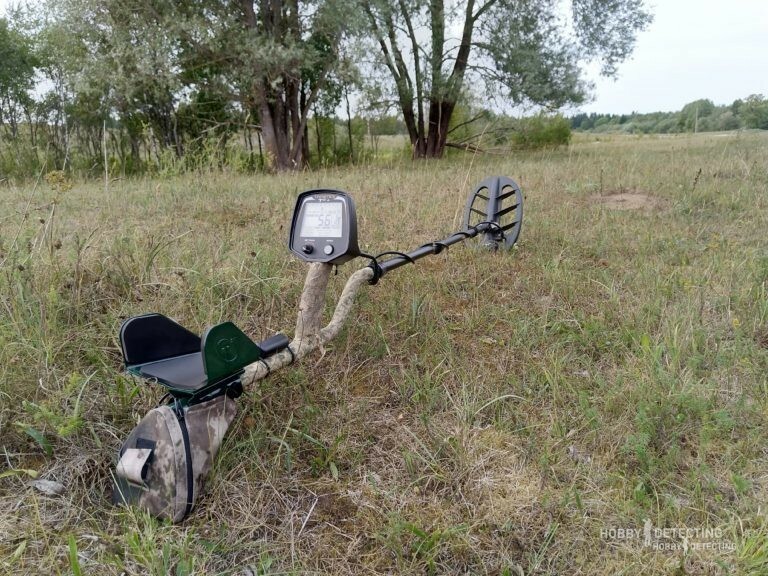 The manufacturer claims that it should be used in places where the grass is high, it supposedly has a better depth then, but I used this mode with usual detecting, because in this mode sensitivity for small targets increases, especially if they are deeper than usual. Yes, with BOOST MODE it is possible to find small coins and a jewelry in the places where you have missed them. 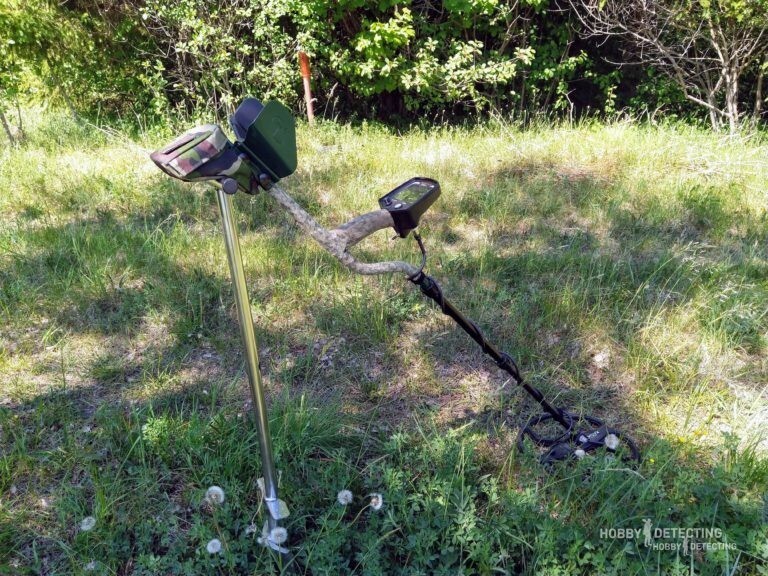 Yes, the simplicity of this metal detector is impressive. There are no complicated settings in it, there is nothing that would allow you to make mistakes in the settings and use it incorrectly. 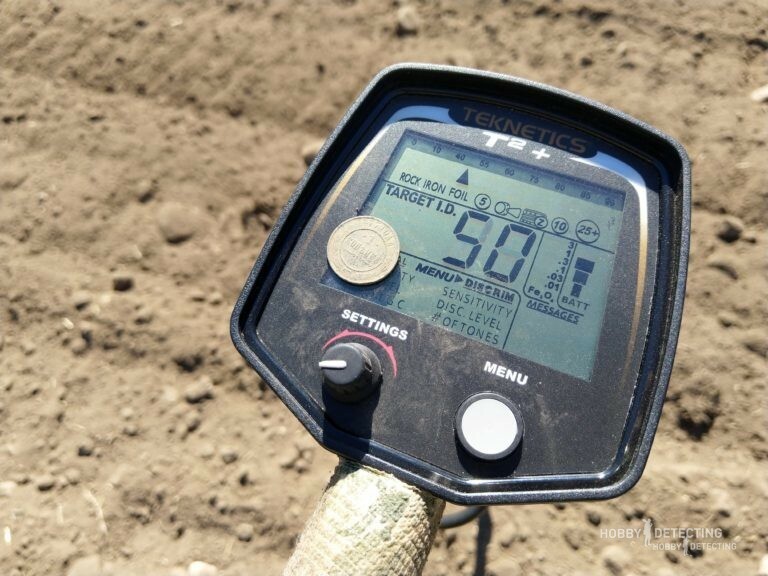 Turn on the volume, select the mode you need, set the sensitivity to the maximum for your environment, then do the ground balance and go detecting! 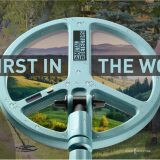 The metal detector is very sensitive to all targets and sees them deeply, and this is the most important thing. It can be equipped with additional coils from both the manufacturer and third-party coil manufacturers, for example – NEL or CORS, or Karma. 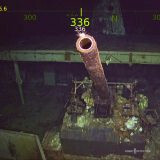 The detector brings its finds. For example – in the photo above you see 20 Kopeks from 1868, 500. silver. Found on an “empty” place, even the owner of the land is a digger himself and said that he had already “dug it all”. ? The BOOST mode adds depths for small objects, such as medieval silver, old small coins, and jewelry. This mode is very sensitive and in places with a bad ground or even with a mobile phone nearby it can cause additional noise, so you should use it carefully. Another copper coin from the late 19th century, found on yet another “empty” declared place. Let the find be not very ordinary, but it is also pleasant. If I can’t use BOOST MODE in some places, I switch to the 3-tone mode. 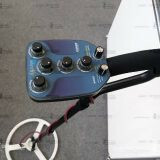 3 tone is the most standard and normal mode for working with this metal detector. 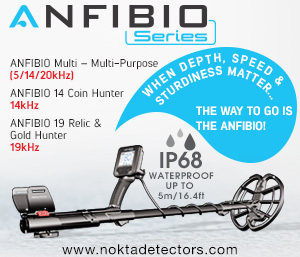 It perfectly identifies iron objects and finds with higher conductivity. Silver and copper are very conductive metals, and for them, there is a third tone, it helps to better hear these objects. Yes, another important point about discrimination. In discrimination mode, I set the level of the sound to 0, because I like to hear all the metals and control the whole process of detecting. If you cut out iron targets completely, you can skip interesting finds too, because gold sometimes gets into the iron segment and on the beach, it’s better to dig these targets, because then there will be more finds. Another common find – 1 Kopeck from 1842. 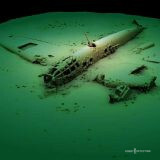 This was found on the field, which diggers have been searching through for more than a dozen years. I wonder how it was possible to miss such a simple object in the field. 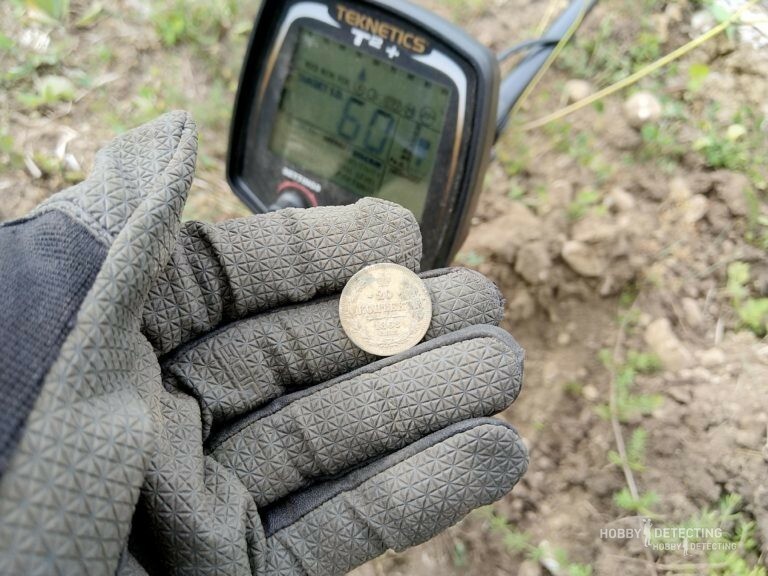 From the interesting things – in the place where this coin was found, there was a lot of rubbish from aluminum, various small pieces, and remnants of wire and metal. The T2+ perfectly identified these objects in the ground and I periodically dig this garbage so as not to miss good finds, and among this rubbish, I also found an antique coin, which is in the photo above. 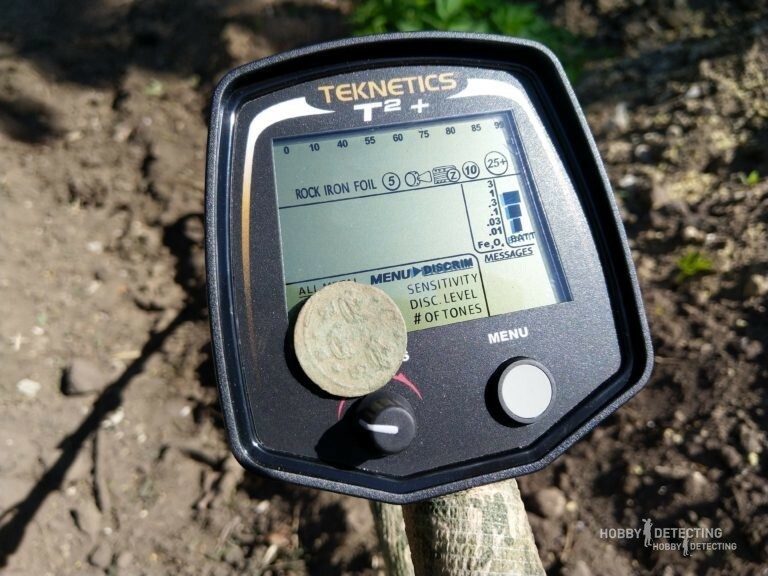 Many detectorists leave the littered places and thereby deprive themselves of interesting finds. The T2+ has a good target separation, in the detector, the manufacturer has already set a balance between the best depth and separation of targets, which makes it possible to work in littered places. Interestingly, With a small coil, it is convenient to search in places that are densely littered. Found in the photo above is a Swedish 1/4 Öre from 1666, such an old coin was found on a construction site of a bike path! There was a lot of debris, and since I did not have a sniper coil, I used a standard 11″ DD coil. And I found this coin! I imagine what could be found in this place with a sniper coil, but the path is already built and I have no more opportunity to detect there. The Pinpointer Teknetics Tek-Point also helped me, which came with the metal detector. 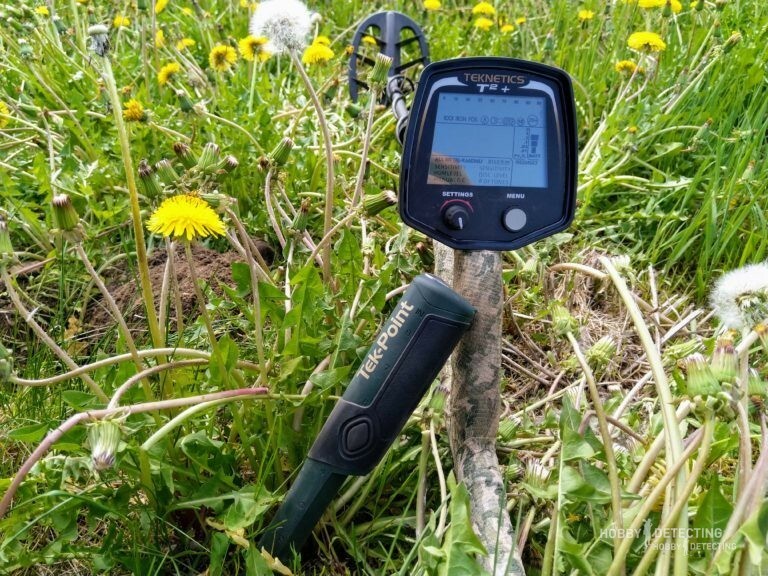 The Tek-Point is now one of the best pin-pointers on the market and at a fairly good price, besides the impulse, which makes it an excellent pin-pointer for detecting in places with a difficult ground and on a sea salt beach! Another little trick is for the already experienced users: if you put the ground balance manually, then I advise to set it a little higher, this gives an added depth in the region of +5% for any purpose. But do not overdo it of course! 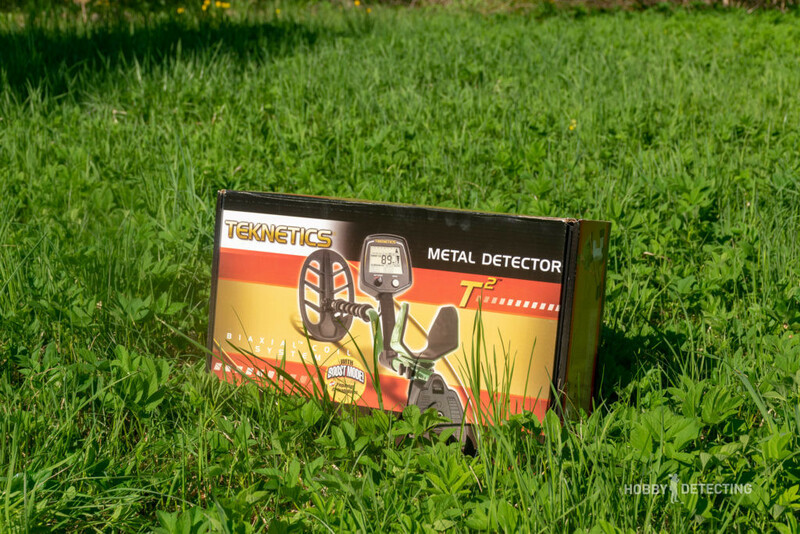 As I said above – in the Teknetics T2+ there is nothing complicated, and this metal detector can be advised to beginners, too, like a first metal detector. 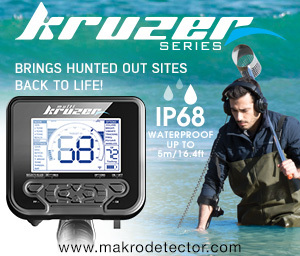 It will definitely bring good finds and it will be easy to master!